Disruption seems an appropriate word…as online education has been both a disruptive force in the past decade…and has itself been disrupted in the past year with the rise of MOOCS. As we gear up for the start of our new academic year, particularly with such thought leaders in place, it seems a good time to revisit some of the fundamentals that have shaped my work for the past few years. In May 2009, Jeff Nugent, Bud Deihl and I published a White Paper entitled Building from Content to Community: [Re]Thinking the Transition to Online Teaching and Learning. Only four years ago, and yet it seems somewhat dated now. So I wanted to review it and see what still resonates with me and what needs rethinking. This still resonates with me, yet I have to recognize that much of the “new” and emerging elearning products seem geared towards designing and sequencing content. In many ways, that describes many MOOCs, though Lisa Lane makes a good point that lumping all MOOCs into one pile is no better than lumping all online education into one pile. There is also a move by some institutions to shift to self-paced compentency-based programs. There are positives and negatives to this approach, but it does illustrate a use of digital technology that is worth exploring. At some level, one could argue that self-paced compentency-based courses are about “learning” rather than teaching. MOOCs aside, the state of elearning in higher education has continued to grow. When we published the White Paper, four million students nationally were enrolled in online courses – 20% of all higher education students. In the latest Babson Survey from 2012, the number had passed 6.7 million, or 32% of students. Few other education processes (other than maybe the adoption of iPhones and tablets) could boast a 70% increase in four years. With a 70% growth, there are obviously more faculty than ever involved in teaching online. I continue to believe that faculty are critical…and not just to design, curate, and sequence content. Our White Paper suggested three central themes to rethinking instructional practices for online teaching. First, it requires effort to build a learning community in an online class, but that effort is critical. Second, the virtual medium in which engagement occurs can happen across multiple websites, from learning management systems to microblogging sites to blogs and wikis. The engagement requires true interaction rather than the more passive action/reaction of “read this and then take a quiz.” Yet, this engagement is critical. Finally, the social presence of both students and faculty is an important component of online learning. 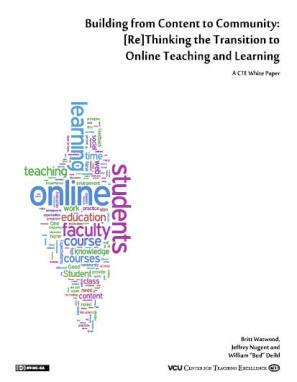 In the ensuing four years since we published this white paper, we have had nearly 80 faculty members participate in our Online Course Development Initiative, and another 60 faculty members complete our online Preparing to Teach Online course. Another 24 faculty members have attended our three-session Learning Path on online teaching. One commonality in these three programs is that each faculty member was given a copy of Rena Palloff and Keith Pratt’s 2007 book, Building Online Learning Communities: Effective Strategies for the Virtual Classroom. 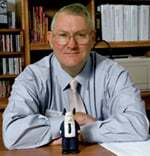 Each of these programs has additionally been influenced by Randy Garrison’s 2011 update of E-Learning in the 21st Century: A Framework for Research and Practice (Second Edition). Community (and the Community of Inquiry model) have therefore been positioned front and center in our development of faculty for online teaching. Given the changes emerging in online learning, my question becomes – Is “community” still a core fundamental principle for online teaching and learning? For me, it is…but I would love for others to weigh in. My colleague Joyce Kincannon used a great word yesterday as we discussed this – discourse. Discourse is more than conversation, it is meaningful debate. It is “meaning making” spread across multiple individuals. To be quite honest, it is the discourse occurring in my online classes that keeps my juices flowing and excites me as I teach my courses. I would suggest that it is the discourse that helps form and grow the community aspects of online classes. So, building community is critical from my perspective. I still think that “community” can exist across multiple digital websites or paths…and it can continue long after a course completes. This past week, I have received several tweets from former students who are continuing our discourse. All of which suggests that the social presence of both faculty members and students continues to be important. Is “online teaching” evolving? Definitely! Are the fundamentals still core? For me, the answer is yes. This does not suggest that we should not explore self-paced digital processes that enhance learning. Just as the web is becoming ubiquitous in our lives, it should (in my opinion) be equally ubiquitous in our teaching and learning. While some of the “tools” listed in our white paper have morphed or died – to be replaced my new tools – the fundamentals embedded in our white paper still resonate with me, as does our use of Chickering and Gamson’s Seven Principles as a lens for exploring the use of these digital tools. While we may welcome MOOCs and self-paced instruction into the repertoire of online offerings, it seems to me that with 32% of college students taking online courses, the “traditional” instructor-led online course will be continuing for the foreseeable future, and the fundamentals we suggested in our white paper will continue to shape those courses – and our development of faculty. Last spring, MGen Will Grimsley suggested that technology-enabled leadership should take a lesson from .38 Special – “Hold On Loosely, But Don’t Let Go.” Seems like good advice for the fundamentals of community, networked learning, and social presence in online teaching and learning. I would be interested in your thoughts…and any aspects of our white paper that you see as needing updating.